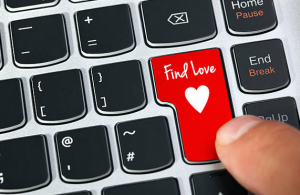 The plaintiffs claimed that the dating site did not clearly and conspicuously inform consumers that their subscriptions would be automatically renewed, which meant they were later subject to recurring billing without having provided informed consent. The plaintiffs also alleged that eHarmony had not provided customers with the program terms, which outlined the automatic renewal service, nor had they disclosed customers’ right to cancel the program. In the settlement, eHarmony, one of the four largest online dating services in the U.S., agreed to pay $1.28 million in penalties to the state and up to $1 million in restitution to customers whose subscriptions to the dating service renewed automatically, and who sought and were denied refunds. Outside of monetary payments, eHarmony agreed to clearly and conspicuously disclose automatic renewal terms in visual proximity to an express consent mechanism for consumers—through a check-box, signature or similar method—to affirmatively accept the renewal offer terms. In addition, the settlement terms require that eHarmony e-mail customers a summary of the automatic renewal terms after they register, enable customers to cancel their orders via e-mail or another simple method, and present the cancellation terms clearly and conspicuously on the face of the contract, and in close proximity to customers’ signatures. Small businesses would be wise to follow these non-monetary terms proactively as a matter of policy to avoid being hit with monetary penalties—and consumers would be wise to investigate whether services for which they are considering subscribing with automatic renewal offer such proactive notifications.